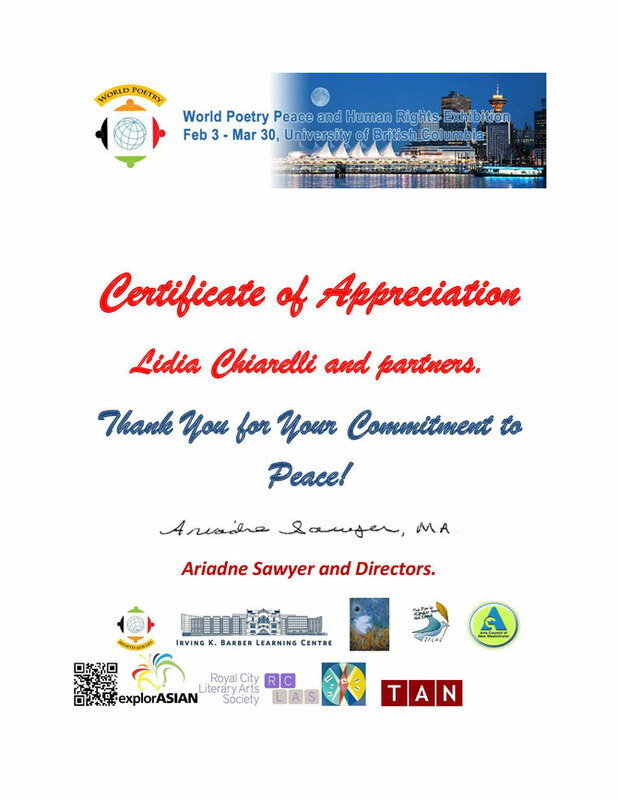 Collaborative Project 2017 - Benvenuti su lidiachiarelli! 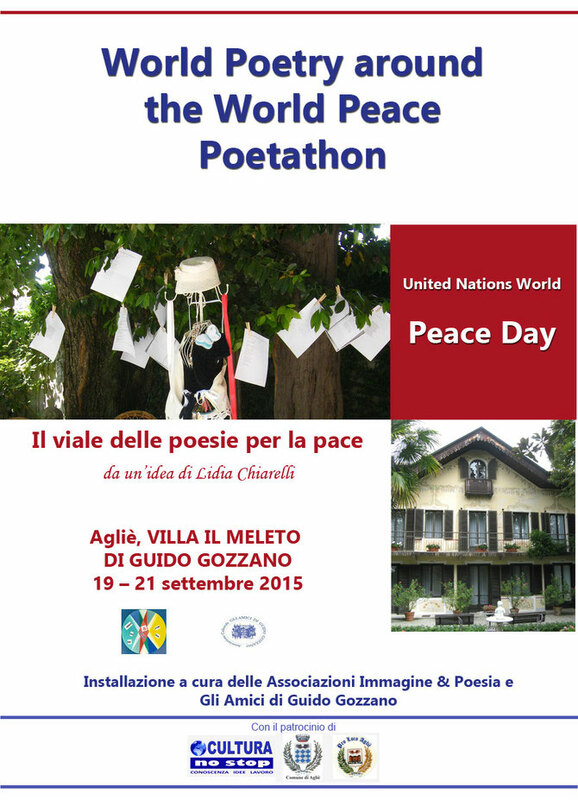 The installation, created by Lidia Chiarelli for the World Peace Day. 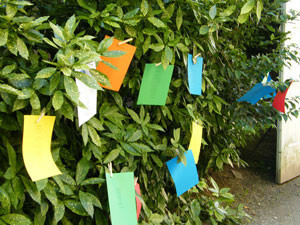 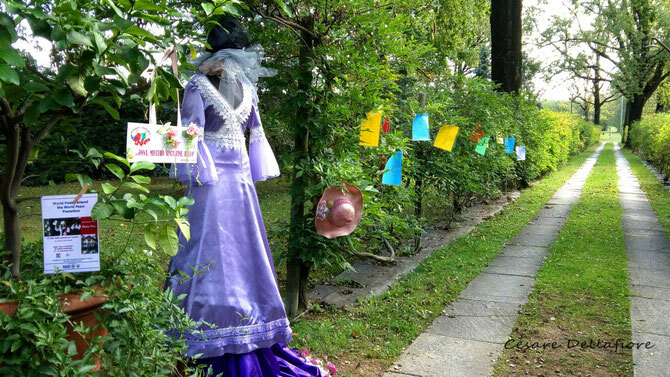 "The Peace Tree" consists of 35 poems about peace hung on a tree of Villa Il Meleto di Guido Gozzano, Agliè (Torino, Italy). 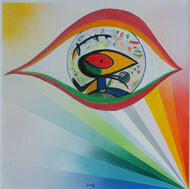 The Peace Flag is by artist Paolo Lello Gariglio. 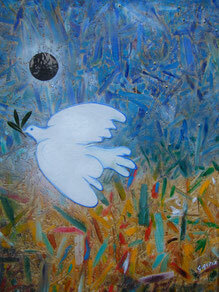 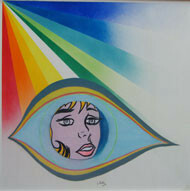 The painting Peace Dove is by Gianpiero Actis. 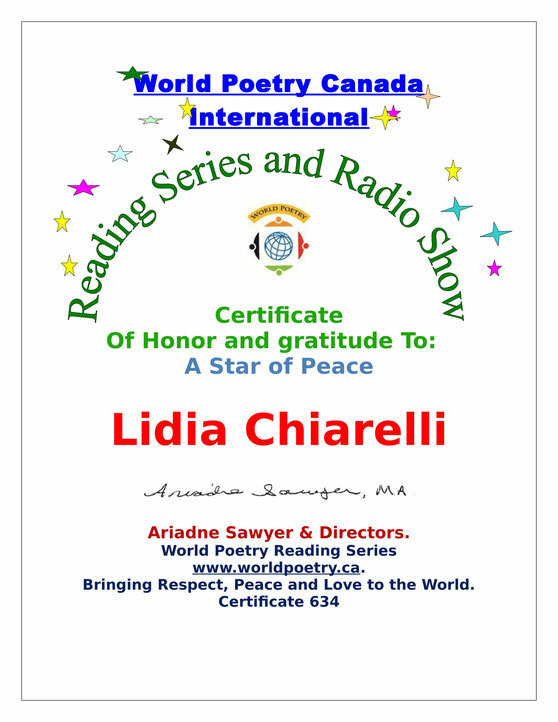 The installation, created by Lidia Chiarelli on September 19, has its high point on September 21 (United Nations World Peace Day). 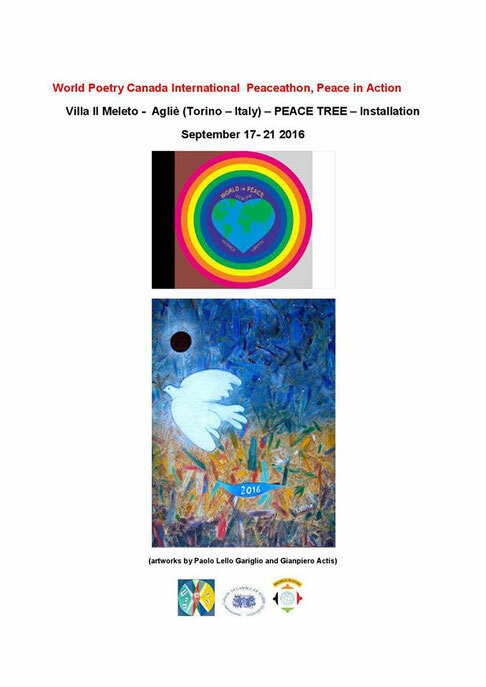 The painting "Peace Dove" by Gianpiero Actis opens the pathway.